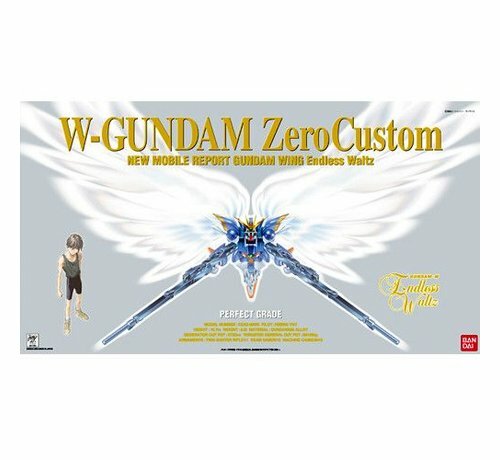 This is a 1/60 WING GUNDAM ZERO CUSTOM Perfect Grade plastic model action figure kit by Bandai Hobby. 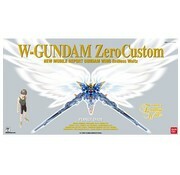 - From the OVA Mobile Suit Gundam Wing: Endless Waltz comes the newest Perfect Grade kit: the Wing Zero Custom! - With a wingspan of over 27 inches and a height of 11 inches, this kit’s impressive silhouette eclipses many other Suits both in height and width! 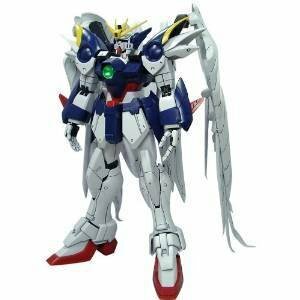 - Die-cast joint parts give the Suit a sturdy construction and low center of gravity and enable the builder to tighten them easily if needed. - Rear center wings can be expanded with a spring mechanism for cleaning, and the large side wing’s feathers extend to give an impressive wingspan. 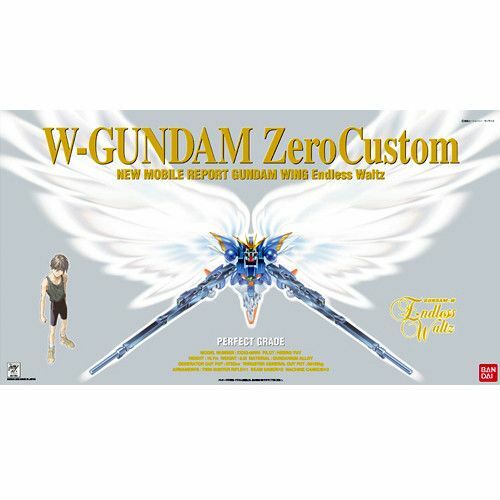 - Rifle accurately moulded, fingers individually jointed and camera eyes moulded in transparent colored elements.